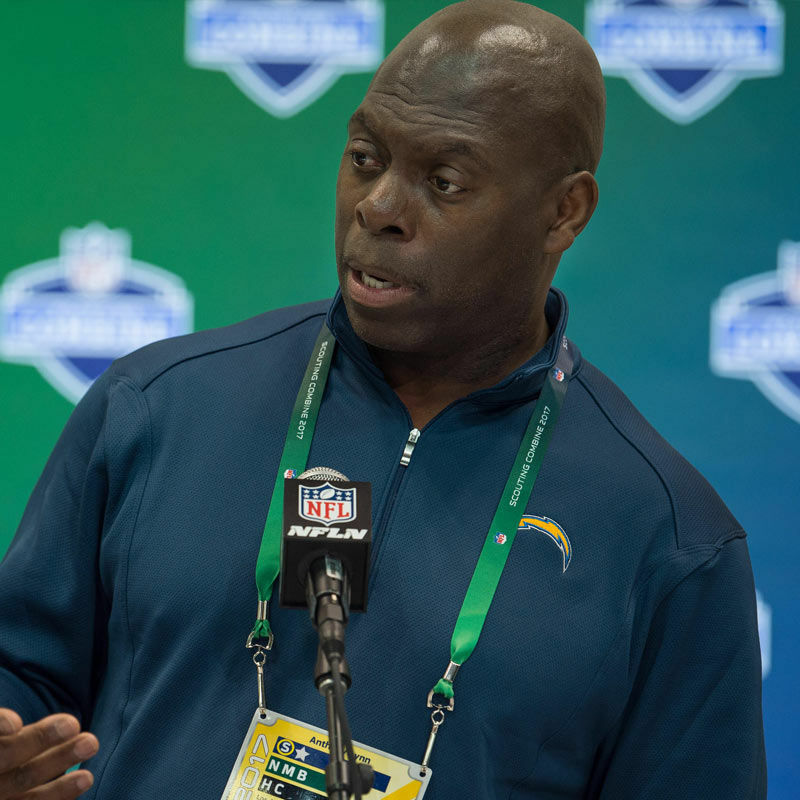 In “All Access: 24 Hours with Anthony Lynn,” writer Ricky Henne tags along with new Los Angeles Chargers Head Coach Anthony Lynn during the team’s final OTAs of the offseason. What he discovered is a template for coaches who value not only growing themselves but also leading those around them to develop. Walking into Coach Lynn’s office one morning, he immediately saw a table with a pile of books titled “The Advantage: Why Organizational Health Trumps Everything Else in Business,” which Lynn is expecting everyone to read. Because Lynn puts such a premium on organizational health, clarity, accountability, and transparency—words that demand initiative and intentionality—he hired a consultant (Pat Richie) to give guidance to the formation of their culture. They immediately took a Myers-Briggs assessment to understand one another’s personality type and the cross section of implications that occurs when one type bumps into another. They met as a group with Richie to discuss their core values and to determine not only their goals, but also how they would deal with the inevitable conflict that would arise in their quest to achieve them. At the end of their initial meetings, Richie put together what became a laminated, two-sided card with charts and graphs on every coach, listing their personal values and personality traits. It reminds Lynn of each coach’s strengths and weaknesses and outlines the best way to communicate with them—including both motivation and criticism—given the way God made them as individuals. He calls the document his “call sheet” and he starts each day by pouring over every inch of it in an effort to remember and absorb the information on each coach. What would it look like for the leadership of your organization to be this intentional? To not only study departmental teams and the way God wired the individuals that make them up, but also to chart a course on moving through conflict based on this wiring? To not only buy the books, but to actually read them and then follow through on what they teach? In some sense, nothing new here. Conflict styles and understanding strengths and weaknesses and temperaments have been around forever, as have been the latest books on how to discern them all. What stands out is putting in place a plan to live in the results of the consultation, to study the data produced, and to continue emphasizing a path to live on together towards a common goal as a daily discipline. In a small way, by caring enough to understand the men currently on his staff, Coach Lynn is unintentionally charting a course for living out the “one another” passages in the Bible, passages that demand an intentionality and initiative similar to his if they should be lived out. You might not need a paid consultant or personality assessment to get it done, but living well among one another doesn’t just happen. It requires paying attention to oneself, paying close attention to others, and learning to pay even closer attention to what God is doing in your midst given the uniquenesses with which we were created. Win or lose on the field, well done Coach Lynn!